The Biku sandal in Black Palm print was recently included in Bead & Reel’s ‘Head-To-Toe Ethical Makeover.’ In their words: “This comfortable, handmade sandal combines organic, vegan, and up-cycling all together while remaining stylish. She can wear these all day whether chasing after her toddler or relaxing on the beach and not have to worry about unhappy feet.” We couldn’t agree more. Thanks for including us, Bead & Reel! Read more about the makeover here! 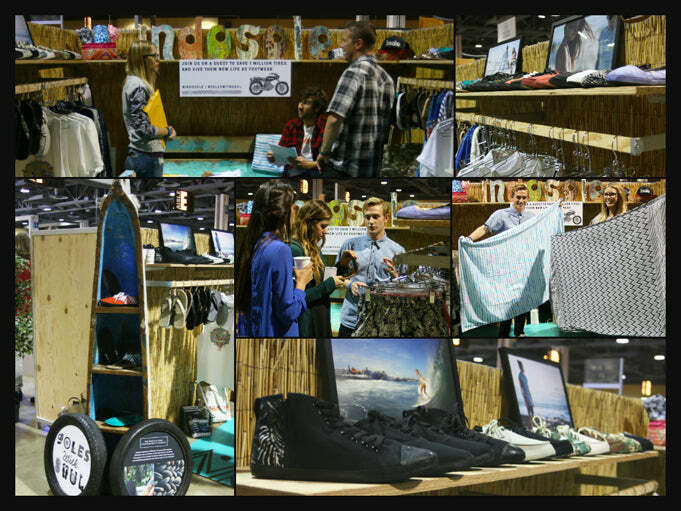 Indosole will be displaying at it's 3rd Agenda Tradeshow this week - January 5th-6th in Long Beach, CA www.agendashow.com Agenda is an invite-only show which unites retailers and today's hip urban, fashion, and beach inspired brands from around the world. We are honored to be attending and will be posted up at booth #G11 showing our line and serving up fresh brewed Sumatran coffee all day long. For a sneak peek of our 2015 line entitled "Pathways" go to: www.indosolecatalog.com 2015 product will hit stores in March! PATHWAYS "Choose the path that calls to you; and when you arrive you are exactly where you are meant to be."